For half a millennium, Spain was where the culture, art, and cuisine of Europe and North Africa converged. This merging of diverse cultures produced extraordinary art, architecture, and food. This spice mixture is intended for pork, but it's also great on chicken and lamb. Make a romantic meal for two with Moorish spices. Some ideas are lamb-stuffed eggplant, grilled and skewered chicken, Moorish kebabs made with small pork filets, Mediterranean chicken with green olives and Moorish spices, and chickpeas with Moorish spices. Mix all the ingredients in a medium-size bowl. Place in a sealed jar or container. This mixture will keep for six months in a cool, dark place. The Moors crossed the Strait of Gibraltar in 711, conquered nearly the entire Iberian Peninsula and stayed until 1492, when the Christians retook and unified the country, and modern Spain was born. The Islamic Moors presided over a dynamic civilization, mostly in what is now southern Spain, of scientific discovery, intellectual depth, renowned architecture and art, and cuisine. The Moors' fingerprints left over more than seven centuries of powerful rule are still widely in evidence, including in the Spanish language. Arabic is infused in common words of Spanish foods, like these that begin with the letter "a": “arroz” (rice), “aceite” (oil), “algodón” (cotton) “aceituna” (olive), “albaricoque” (apricot), “azafrán” (saffron) and “almendra” (almond). The Moors are not only responsible for the Spanish word for rice, but they also brought it to the Iberian Peninsula, along with saffron. The iconic Spanish paella traces its most important ingredient directly to the Moors. They also developed irrigation methods that made olives as widespread in Spain as they are today and brought almonds to the Iberian Peninsula. 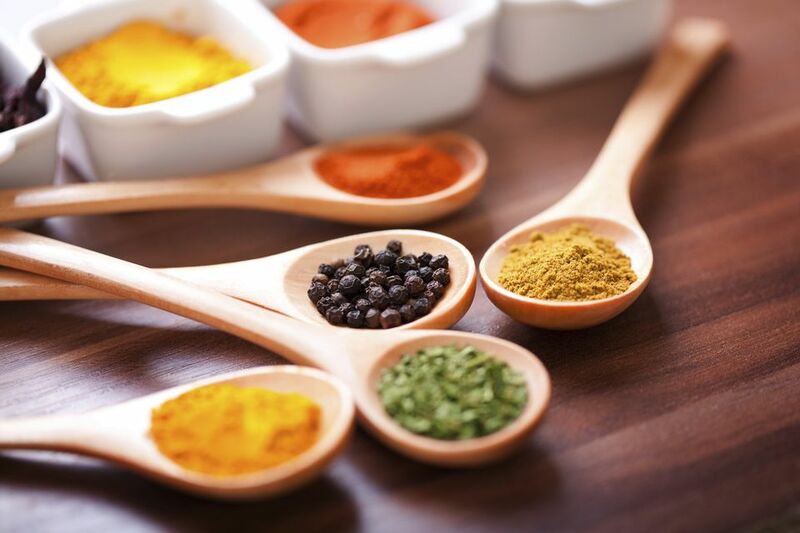 The Moors also were heavy into spices, and they are responsible for the use of cumin, cilantro, cinnamon, anise, nutmeg and mint that Spain is known for. They also brought dried and citrus fruits and sugar cane. Frying in oil, a basic method of so many Spanish dishes, was also a Moorish contribution that is obvious if you've ever eaten at a tapas restaurant. Then there's the use of vinegar to preserve meat and fish, like anchovies. You can bet that just about anything you eat in Spain or a dish of Spanish origin traces at least some of its existence back to the Moors, reaching down the centuries to your dinner plate.